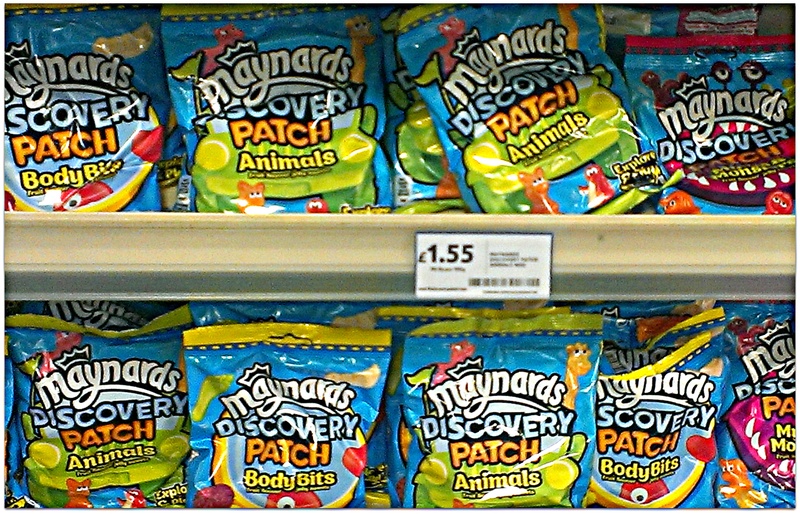 The highlight of my day was a late night dash to Tesco’s for a Snickers bar – I managed to resist the Maynards Discovery Patch Body Bits and Animals but the garish brightness of these bouncy point of sale packages managed to lift me enough to grab a photo for the day. Yesterday was sluggish, today was like treacle. A warm and muggy day, a working day to put your shoulder against or if was your wont a day to sip coffee on a city sidewalk, sunnies on and face to the welcome warmth but instead I tipped over into the yawning maw of inertia and hopelessness. Today I had my first interview in 3 years, for a part time job. I was excited about it. A short bus ride away, a lovely character building, a small, dynamic, business looking for organisation and project managing for relocations and home renovations. The short bus ride turned out to jagged stop start of a journey, through narrow residential streets, navigating double parked cars, facing off to burly trucks and stuck up the bum of a rubbish truck. Uncharacteristically I had given myself plenty of time so despite this edgy start I was still early but the tension of the trip left me raw. The interviewer was charmingly pleasant, the office was as lovely and welcoming as the pictures I had seen. There was nothing particularly untoward about our meeting but it felt like time had slowed down in the most unpleasant way as I watched each exchange between us like a slow motion rally, showing up minute imperfections, fraying thoughts, daggy cul-de-sacs of answers and my flat heavy responses. The soft sheen of sweat broke out on my face, a lazy dribble of it slide down my cleavage and the itch of my raspy linen trousers start to nag urgently. It could have been the replay of a winning ace but instead it felt like a car crash. I thought it would be a relief when it was all over but it was painful to feel all smashed up. I work with the premise that my thoughts and feelings are not a true reflection of reality but I am glued in fascination and awe to the power of this one tiny event put under the microscope. To my ego so much more than a part time job is at stake rather it is a challenge to the status quo and it slams me up against the wall to show me who is boss. I observe what is going on and I keep on observing as the afternoon slides into evening and evening slides into Tesco’s and a dark night stroll with a Snicker’s bar. There is nothing to observe any more and the nagging day melts into the now.